Daily Mirror reporting that Manchester United are preparing a bid for Fabio Coentrao. @Stephen - Stoke signed Marko Arnautovic at 12.02am. Unlike the Tony Pulis days, I don't think there will be much more late activity at the Britannia. 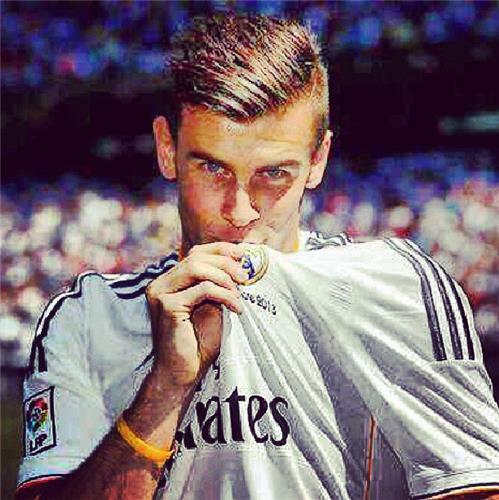 Real Madrid have bought Gareth Bale for more than they'll make on selling Gonzalo Higuain & Mesut Ozil. That's a rubbish return. This is Real Madrid's Eto'o + £40m for Ibrahimovic moment. Sky Sports reporting that Roma have no intention of selling Daniele De Rossi to Manchester United, or anyone for that matter. I forgot de Rossi, another player we knew we wouldn't get?? that's cos he is sold! Also don't forget Ozil was not by any means a dud or misfit at Madrid. He was an an integral part of their first eleven last season and at just 24 hasn't even reached his prime. Just listen to the reaction of a lot of the Real fans when hearing about his departure. I'm told talks between Everton and Manchester United are progressing and this deal should now be concluded successfully before the deadline, as most of us have expected. "It is understood Fellaini has been given permission to delay linking up with the Belgium squad for their World Cup qualifiers against Scotland and Croatia to enable him to complete the transfer - once it's all been agreed of course." honestly beginning to believe we genuinely didnt want these players nigel. We have bid on players who were playing for home town clubs, or very settled such as Herrera. United knew they couldnt be seen to only be bidding for Fellaini and Baines as it would look very weak when other teams have strengthened. By bidding for players who werent going anywhere Woodward/Moyes can claim they tried really hard. It is what Wenger has been doing for years. No more news on Ozil. Medical is taking place over in Germany with the Bayern Munich/national team doctor. other than Ozil, any other transfer news for AFC? @Hopeful Gunner - reports suggest that Arsenal are in advanced talks to sign Di Maria as well. Gunners still keen on another new striker. Demba Ba is first choice, Arsenal want a loan but Chelsea want to sell. If no deal can be reached then they will move for Abel Hernandez from Palermo. CONFIRMED - Di Maria following Ozil and signing for Arsenal. Uruguay international Abel Hernandez has told Palermo he wants to leave before the transfer window shuts. The 23-year-old, who has been linked with Premier League duo Arsenal and Sunderland this summer, has revealed that he hopes to move on. All the signs are that Manchester United's pursuit of Marouane Fellaini is moving towards a successful conclusion before the window closes - which will leave Everton manager Roberto Martinez with money to spend. The Dutch media reports that Feyenoord's highly-rated defender Bruno Martins Indi is waiting to fly in to England to complete a move to Goodison Park once the Fellaini deal is done." After the Liverpool performace, im amazed moyes thinks we can cope. We are desperate for a couple of class mids, and fellaini doesn't fit that catergory. Anyway folks, that is all from me for now. I will leave you in the capable hands of my colleague Kevin and I will be back this evening as the window enters its final few hours. Thanks for your contributions! Arsenal have tabled a £1.5m loan fee for Demba Ba, but Chelsea are holding out for £3m. Seems extortionate to me for a loan deal. You could probably buy him for £6m! So with nine hours left until the transfer window slams shut, how are you feeling about your team's deadline day dealings? Which clubs still need to strengthen and do you think we're in for some more big surprises?